Got that title from Cam's re- introductory. Wow that bike registration in NSW is over the top. All of Oz should be like W.A rego...one price, doesn't matter if it's a V8. Should make Licences just one, country wide too. Welcome back Cam. I have had my Burgundy '08 1250 Naked for a couple years and it had 46,000 k on it when I bought it. Now on 65k.Stock apart from the pipe and deleted 1250 stickers. Have had Suzuki's most of my life my first being a TS 185 at age 15. The move to a six speed is awesome, my previous bike being a worked '78 GS 1000. I tell people ( non bikers ) that at 5000 revs, just over half of redline, in sixth gear I'm doing 150 kmh, just cruising for the Bandit. The clutch has the usual Suzuki rattle like all my old air cooled 1000's and 1100's and hasn't slipped yet. The guy I bought it off tried telling me it had a dry clutch , what a laugh, I think he thought the clutch was kaput. I'm about to do a 'Gus' on the fuel pump, and clean the filters / screens. I have a broken foot at present so plenty of time to tinker and troll the pages of this mighty fine forum. I have been a member of the GS Resources Forum in the U.S of A for a number of years and like to throw a spanner at my bikes, so thanks in advance to all you people that have contributed on here. Happy days and may The Suzuki Gods be with you. 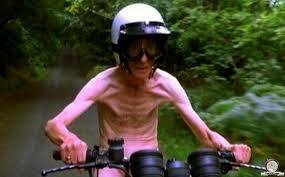 Re: Real Men Ride Naked. Welcome, thanks for popping into the intro first. Thanks for the welcome guys. Wish I had bought the second bandit I looked at as well. A 96 model for 2k, the guy was desperate for cash. Would have made a good visitors bike to show them around the Coast. Hi Mark, great bikes the GS1000, much better bike to carry a pillion on than a Bandit! As were the GSX1100's, what happened at Suzuki? What's the point of a pillion seat if it's a buttkiller? That's my only whinge about the Bandit 1250s though, other than that a great bike. Hi Opa, yes the old GS1000 seat was like a sofa. My wife used to fall asleep on the back of my shaftie and it wasn't from too much after hours activity...doh. She did say that the Bandit was the best bike I've had, but I think she was referring to the lack of time required working on it...haha. 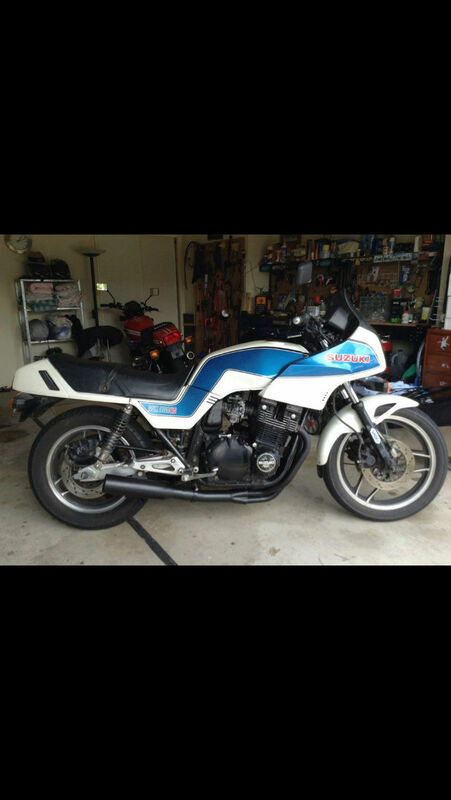 I just wished Suzuki would build a Bandit shaft drive. I see Kawasaki have a nice 1400 shaftie sports bike ZXR style. Santa ya c... where's my bike? I just wished Suzuki would build a Bandit shaft drive. As you know Chook, I just replaced my chain and Sprockets. Parts were around $240. The service manager said it must be a world record to get nearly 50k out of the originals. I know you can get more using a Scott oiler, but has any got 50,000+ just using chain lube? 'cause I didn't think my old chain looked that bad. It was a stunt riders choice at one point, you wouldn't use a new one now, totally different bike. 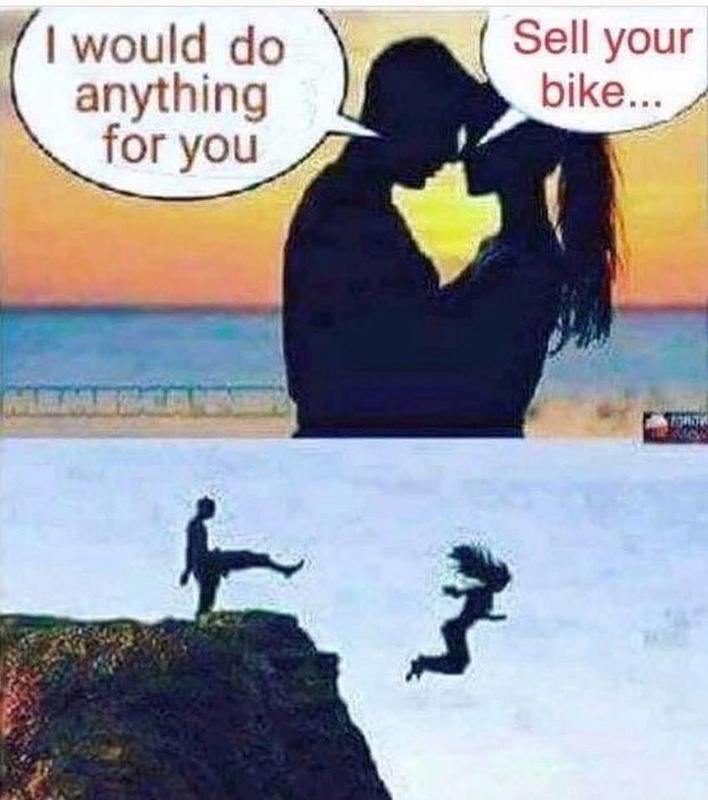 It was always a budget bike. My last GS before the Bandit. Yoshie Cams, 33mm Smoothbores, Wiseco 1100 kit and 125 HP. Just bought a 1980 Shaftie. Do you ever wish you'd kept it? Hell Yes, that was my dream machine. My ex didn't help the cause. 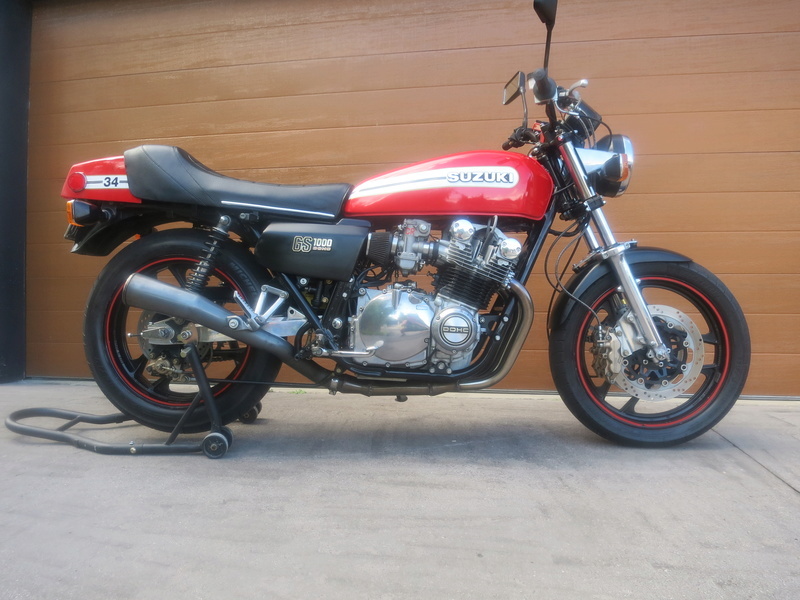 Let this pretty unmolested GSX go too.